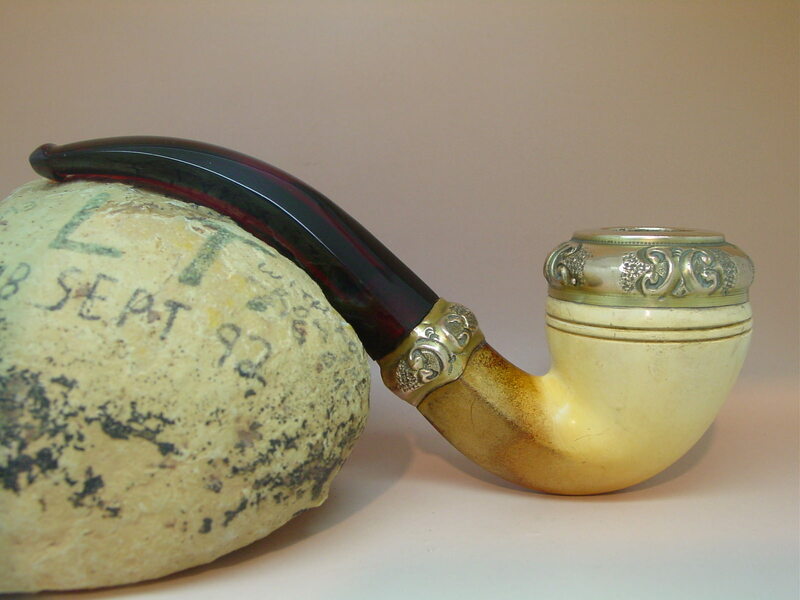 This is a large unbranded meerschaum bent bulldog. Other than the large size, it’s pretty typical for its era. The branding was usually found in the case, which is long gone. It’s definitely of American manufacture from one of the old companies like WDC, NPW, RBC or MLC. 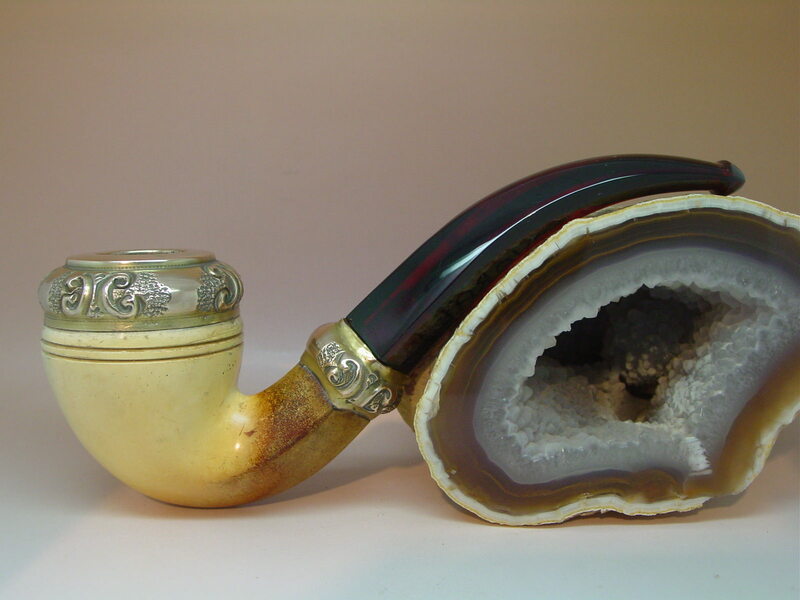 They all made pipes like this. Assuming the stem is original, I’d guess it dates to the 19 teens or early 20s. If the stem is a replacement for a broken amber stem, it could be up to 20 years older. The bowl exterior is in very good condition showing some light scratches. The rim cap is also very good showing just a couple small dings. The stamped metal cap and band appear to be brass plated. 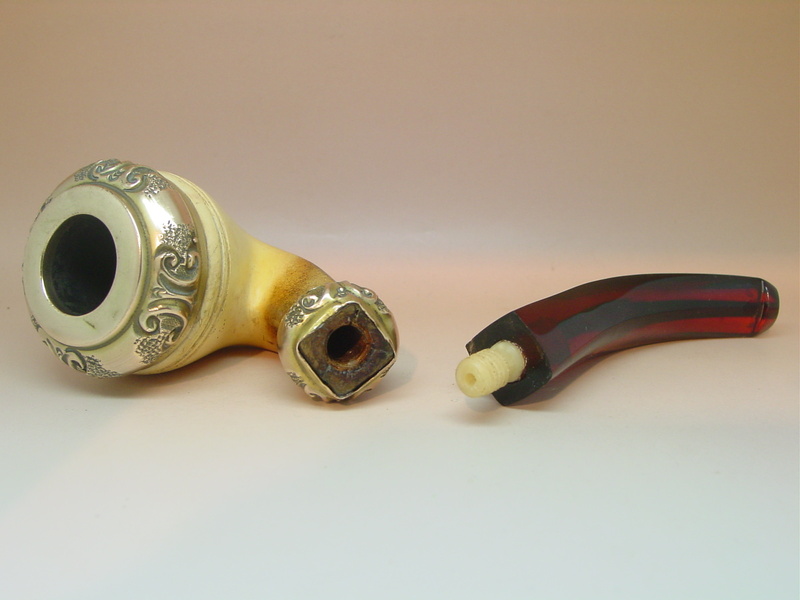 I found when I bought this pipe that the shank under the band had been broken and repaired. It seemed to be pretty solid so I used epoxy to fix the band in place and give it added strength. The repair does not show. The carbonized chamber is straight and true showing no damage. The draft hole is the pierced type. There is lots of smoking life left in this pipe. The stem is ruby Bakelite. There was some tooth wear that I cleaned, filled and polished. The repair is only noticeable under strong light. I replaced the tenon that was in it with a better fitting period correct bone tenon. The fit is tight and the alignment is perfect. 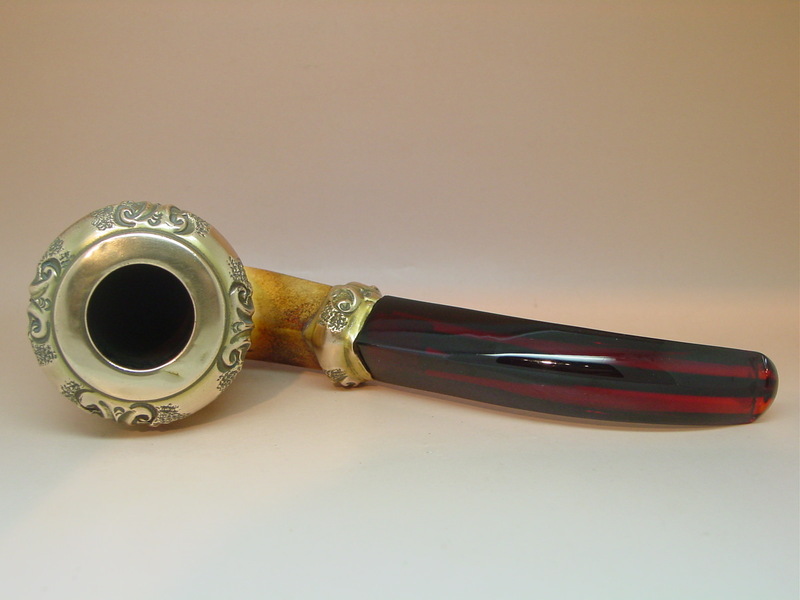 The pipe measures: 6” from the bit to the bowl leading edge x 2.25” with a .75” wide conical chamber. The chamber, shank and stem interior have been cleaned and the pipe is ready to smoke. Send it back for a refund if you are not satisfied. $135 shipped. I'll knock the price down to an even $125 shipped. Thanks to everyone who looked at this pipe. I'm ready to sell it and am going to list it for auction. It's okay to delete the thread.